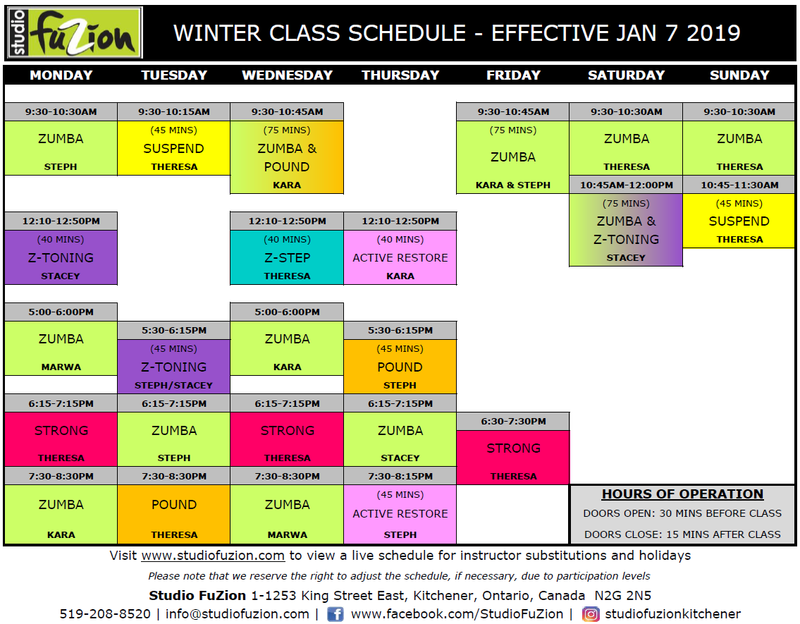 We are the #1 location in Kitchener-Waterloo for Zumba, Strong by Zumba, Pound classes and much more. We are a judgement-free studio with a welcoming community of experienced instructors and friendly members. We look forward to having you join our family! Zumba - We take the "work" out of workout, by mixing low-intensity and high-intensity moves for an interval-style, calorie-burning dance fitness party. 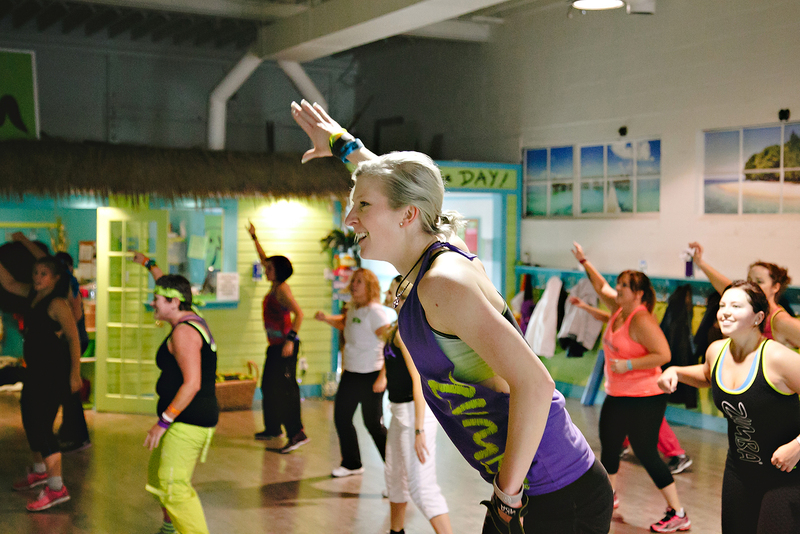 Once the Latin and World rhythms take over, you'll see why Zumba Fitness classes are often called exercise in disguise. Super effective? Check. Super fun? Check and check. 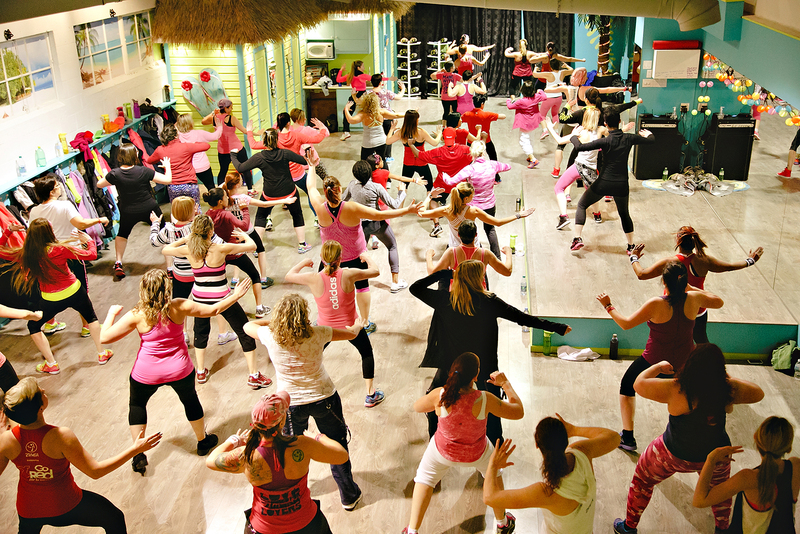 Zumba Step - Ideal for those who are looking to feel the burn, baby! Looking to strengthen and tone your legs and glutes? Step right up. We combine the awesome toning and strengthening power of Step aerobics, with the fun fitness party that only Zumba brings to the dance-floor. Zumba Step increase cardio and calorie burning, while adding moves that define and sculpt your core and legs. 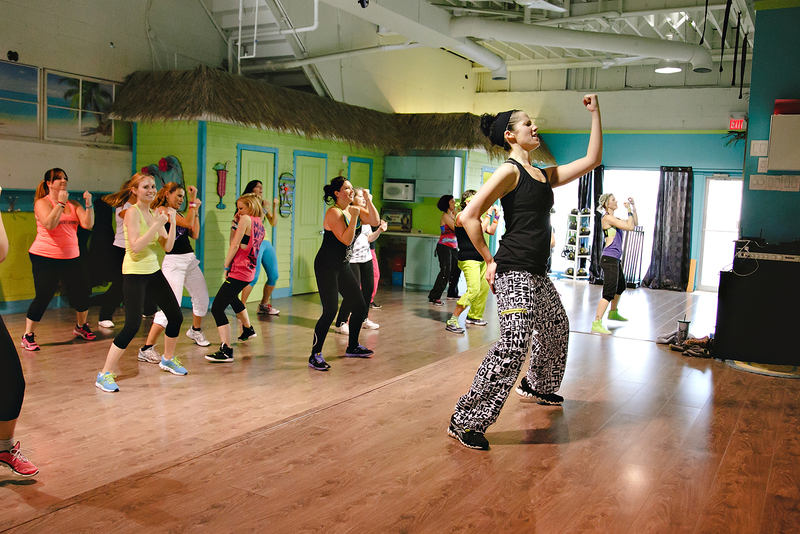 Zumba Toning – Those who want to party, but put extra emphasis on toning and sculpting to define those muscles! The challenge of adding resistance by using Zumba Toning Sticks helps you focus on specific muscle groups, so you (and your muscles) stay engaged! Strong (by Zumba) – Music-led High Intensity Interval Training! This class will take you through 4 quadrants of different intensities to challenge your cardio and muscular endurance. With everything perfectly synced and timed to music, it’s hard to not have a good time in this one-hour class! Pound - This is a cardio-jam session inspired by the sweat-dripping activity of drumming. Using lightly weighted Ripstix, you will be working through 4 movement spectrums (set, lunge, kit, T&A) all set to your favourite music. Unleash aggression, challenge your balance, flexibility, co-ordination, and endurance in this upbeat and rockin’ class. Suspend – Improve your balance and core strength with this full-body workout. Work at your own pace and ability level using the TRX suspension trainer as your tool. All levels of experience are welcome. Active Restore (Roll & Restore) – This class uses a range of techniques such as myofascial release (using a foam roller or tennis ball), extended stretching and mindful meditation. You will experience reduced stress, increased flexibility, faster muscle recovery, decreased muscle injury and much more. $39/Month for UNLIMITED MONTHLY LOYALTY Membership* (12 month minimum) BEST VALUE! THIS IS MY FIRST CLASS...WHAT DO I BRING? WHAT CAN I EXPECT? • Please arrive at least 10 minutes early. You can fill out a waiver form at the studio or print and fill one out in advance. • Wear loose, comfortable clothing that breathes. You will work up a sweat. Layers (like a jacket or sweater) are recommended but be prepared to get hot! • Wear proper shoes. For our Zumba classes, cross training shoes, aerobic dance shoes, dance sneakers (with a round pivot point on the ball of your foot) are best. "Waffle" running shoes are restrictive to lateral movement and grip the floor too much, risking knee injury. • Bring a waterbottle to hydrate you during and after class. • Don't worry about the steps! 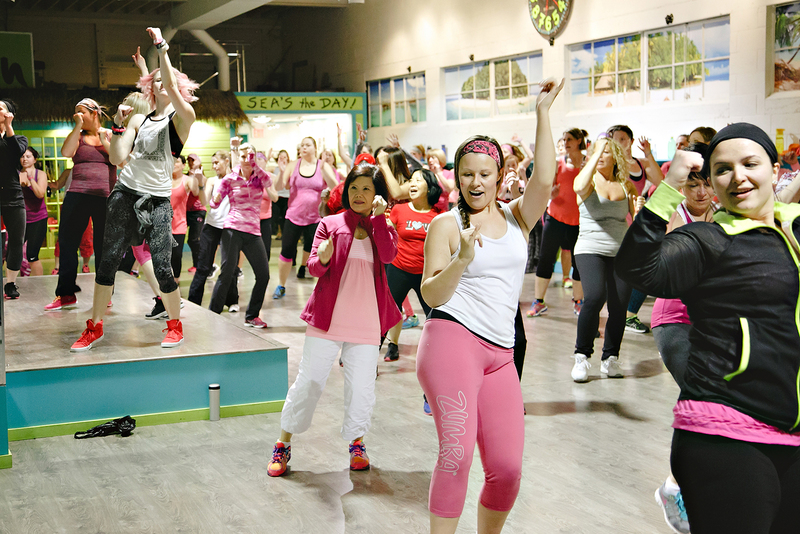 Zumba is all about having fun while getting fit. There are no mistake in Zumba, only unexpected solos! 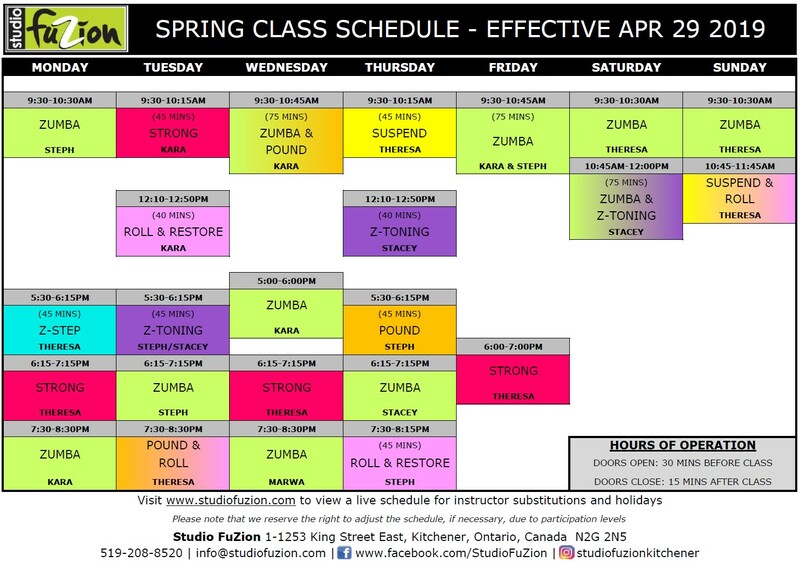 Our classes are built to accomodate all fitness levels. Our instructors provide different levels of intensity during the class so you can work at your own pace. If you have any questions or concerns, just speak with your instructor before the class. MY SCHEDULE IS UNPREDICTABLE, DO I HAVE OPTIONS OTHER THAN A MONTHLY MEMBERSHIP? You bet. We offer everything from day passes to multi-class packs to pre-paid monthly packs. See our Pricing section for more details. DO I NEED TO SIGN UP AHEAD FOR CLASSES? Nope! Our classes have plenty of room for participants and do not require pre-registration. Our Suspend class has limited space so if you wish to pre-register, this can be done through your online account or by calling/emailing the studio. • You may place your membership on hold for a one-time $10 administration fee and hold your current membership rate for a maximum of 6 months. • After the requested amount of suspension months has passed, if no other arrangements have been made, your auto-payments will begin again. • Membership holds must be requested in person at the studio or by email. • We require at least 45 days notice to cancel all monthly memberships. 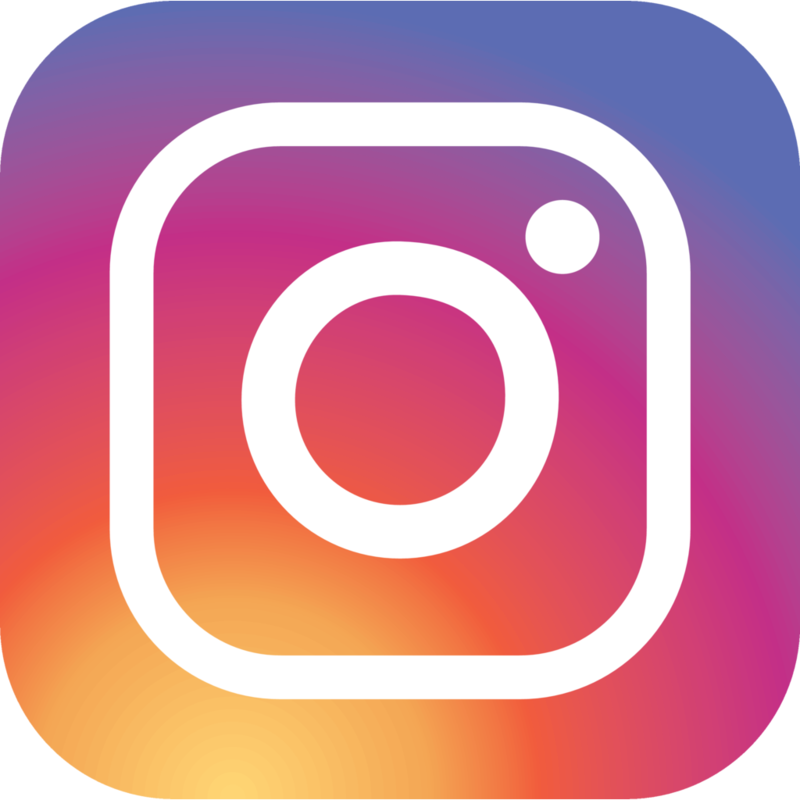 • Cancellations forms must be requested in person at the studio or by email. • Monthly memberships are required to pay out the remainder of their term if cancelling before the end of it (i.e. 6 or 12 months). Please note that the term "Zumba" throughout this website refers to "Zumba® Fitness".